﻿I have been coming to Mark for 8 years now. LOVE HIM. He does such a great job with my highlights and knows how to listen. Prior to finding Mark, I had no less than 5 bad experiences with different stylists and was very frustrated. Ever since I found him, I have stuck with him... well, except for the one time I cheated on him when I was out of town and regretted it so badly! I don't want the secret to get out about him, but he's done such a great job I owe it to him! Thanks, Mark! So delighted to discover Mark---a true gem! I was searching for a salon within walking distance of my home and I am so, so happy to find Mark. This is the first time....in a very long time...that I have left ecstatic with my new style and color. Plus, Mark has such a wonderful chairside manner that I felt as if I had known hime for years after just one visit. And, the woman who had the appointment just before mine had been seeing Mark for 13 years. Now, that is a vote of confidence! So, I basically said that I am leaving myself in your hands. He still sought my guidance very diplomatically...which I really appreciated. I now have the cutest cut and beautiful color that really compliment my complexion. I really like supporting independent entrepreneurs and Mark has created a beautiful salon environment in his home. I already made my next appointment. I am new to the area and was in desperate need of finding a stylist. I usually ask around for recommendations, but at this point I was willing to take a shot in the dark. And I am so glad I did!!! I came across Mark Manning Studios here on yelp. I emailed for an appointment and received a prompt response to schedule. I was so pleased with my hair after the appointment. I can honestly say that in the 15 years I've been getting my hair highlighted, I have never had a better color job. It was phenomenal! The cut was fantastic as well. I left feeling refreshed and updated. 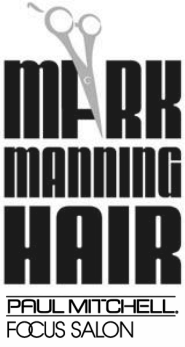 Mark is willing to listen and take the time to make sure you love your hair. He is not only skilled and knowledgable, but kind and energetic. I highly recommend!